Modern radars and communication systems demand the use of array antennas to generate patterns of high directivity with extremely low sidelobes for effective search and track applications. In this paper, the design of uniform linear arrays with ultralow sidelobe sum patterns is presented. Novel techniques like Genetic Algorithm (GA), Particle Swarm Optimization (PSO), and Simulated Annealing (SA) algorithms, are used to optimize Electromagnetic problems for design. In the process of optimal design, intensive investigations are carried out to generate the sum patterns of ultralow sidelobes from the array of dipoles and waveguides with a constraint fixed on major lobe beam width. 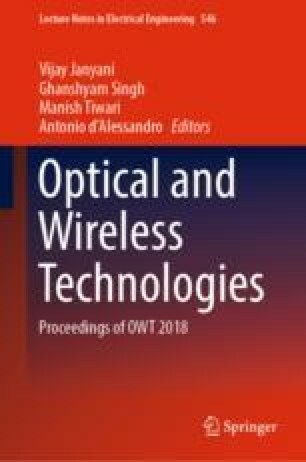 The results show that radiation patterns from arrays of waveguides and dipoles have ultralow sidelobe levels and they are very close to the patterns from an array of isotropic elements. In addition, the sidelobe levels for an array of waveguides are better when compared to the array of dipoles.